Dr. Karen Waldman received her Ph.D. in counseling psychology from the University of Houston in 1995 and became licensed in Texas a year later. While in graduate school, she served as Director for the UH Students with disABILITIES office. She completed a one-year internship in clinical psychology at UT Medical School in Houston and a one-year postdoctoral fellowship in clinical geropsychology at the Houston VA Hospital. Dr. Waldman joined the staff at the Houston VA Medical Center (VAMC) in 1996 and continued working there full-time as a psychologist for the next 18 years before joining Chuck Gray Ph.D. and Associates. Dr. Waldman gained a wide range of experience at the Houston VAMC by counseling a diverse group of veterans and their significant others. Her specializations included relationship issues, grief, trauma, and Acceptance and Commitment Therapy (ACT). ACT is a quick and effective method for treating relationship problems, PTSD, loss/grief, depression, anxiety, insomnia, anger, guilt, stress, addictions, and many other difficult issues. Dr. Karen Waldman has also been trained in several other evidence-based therapies. She will spontaneously use whatever tools may be most beneficial for her couples at any given time. While at the VA, Dr. Waldman also held an appointment as an Assistant Professor in Baylor College of Medicine's Department of Psychiatry in Houston, Texas. She supervised/trained residents and all levels of psychology students. Dr. Waldman routinely gave the annual Couples Counseling seminars to VA trainees and provided opportunities for them to serve as her co-therapists with marital counseling, couples groups, etc. 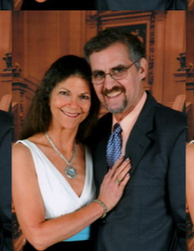 Over the years, she and her husband of 30 years, Dr. Ken Waldman, have presented several related workshops together at professional conferences. They are currently working on a Self-Help for Couples book. For a list of Karen Waldman's current publications, click here. Karen Waldman, Ph.D. is a member of the Houston Psychological Association, Texas Psychological Association, American Psychological Association, National Register of Health Services Providers, American Society for Clinical Hypnosis, and the Association for Contextual Behavioral Science. While every couple is different and their presenting issues are unique, Dr. Waldman's primary goals in couples counseling are to teach effective communication and conflict negotiation skills so that couples may begin working together as a team to develop win-win solutions to their problems. Mutual respect, appreciation, and empathy are encouraged so that the couple can let go of old hurts, move forward together, rediscover the love they once had, and achieve the emotional and physical intimacy that they desire. Click on the icons below for other webpages on Karen Waldman, Ph.D.